Jacob Nix allowed six runs on six hits in 2 1/3 innings taking the loss against the Dodgers on Saturday. He struck out two and his season ERA sits at 6.81. Nix got destroyed by the red hot Dodgers lineup. Getting rocked is nothing new to Nix in four of his eight starts he has allowed five or more runs. Nix is only 22 years old, it is good to at least see him have some success at the big league level. 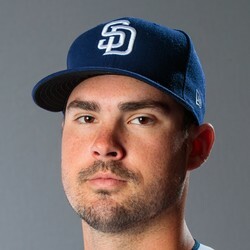 Nix could end up starting the 2019 season in the starting rotation for the Padres.